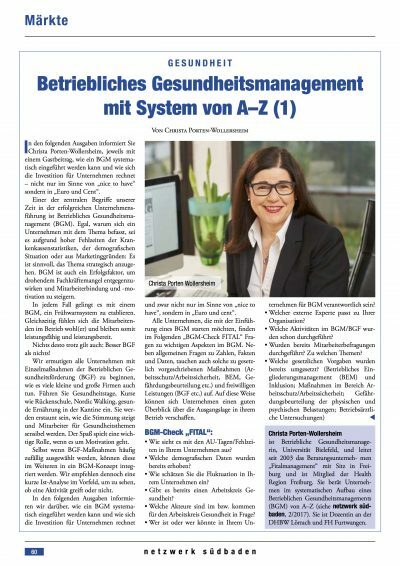 In march 2017, our first article of our monthly column in the economy magazine “Netzwerk Südbaden“ was published under the heading “Occupational Health Management from A to Z“ In the following editions we will talk about how to implement OHM systematically and how the company’s investment has to be calculated. Find out more about the first steps of the introduction of OHM and how the “OHM-Check Final“ can support you. 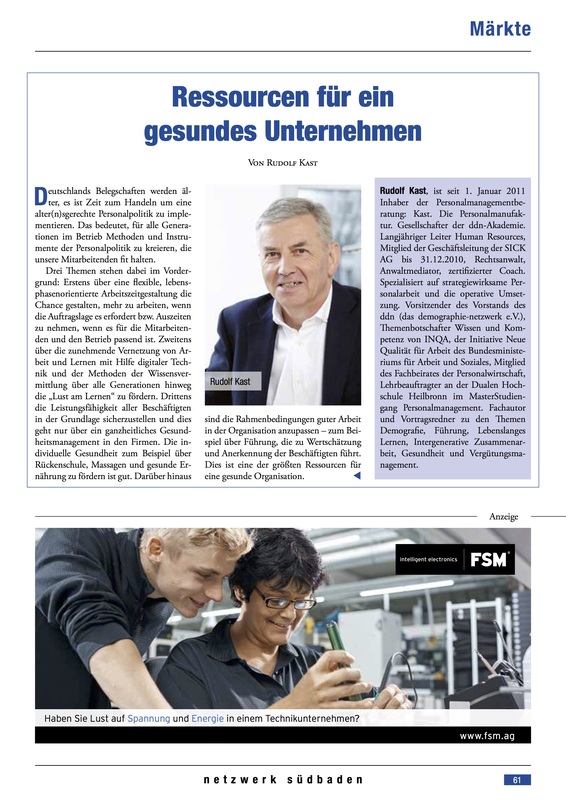 Additionally, our guest article of our partner Rudolf Kast about important resources for healthy companies.